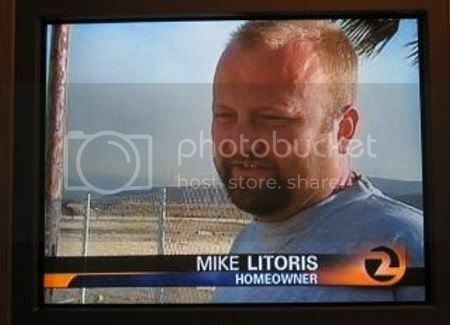 Wow.‚ Just wow.‚ What an incredibly unfortunate name.‚ I thought Joel Gross was bad, but at least I’m not Mike Litoris lol. Hahahhaha.‚ I’m still in junior high mentally. After doing some research, I think that Seattle’s home prices will significantly decrease over the next year or two. Home prices have already come down a bit, though not nearly as much as the national average. I would like to buy a place and stop shoveling cash into the furnace that is renting, but I also don’t want to lose $100,000 by prematurely purchasing a home in a market that still needs to go down. My rent is ridiculously high at $1,100 a month. The greedy head honchos who own my building (Metropolitan Park Apts) just jacked it up 15%. I would love to buy a place and start saving that cash. Renting currently costs me around $14,000 a year. I would love to be able to put that money into real estate equity. I think that the median home price in Seattle is going to drop another 10-20% over the next year, if not more. Seattle is always a bit behind in national economic trends and we still have yet to feel the full brunt of the housing bust. Another huge problem is that so many major employers in Seattle are entering hard times… WaMu getting bought out & shut down by JP Morgan is just the tip of the iceberg. Microsoft has had a hiring freeze for awhile now and it looks like they may be doing layoffs soon. Many local businesses have started to burn cash and it wont be long till we start seeing rounds of layoffs from them. My hope is that my income continues to rise and I will be in a good position to take advantage of much lower home prices in a year or two. I will still be looking out for amazing deals now, but I think I will see many more good deals coming my way if I have some patience. Funny cartoon- “prove you’re not a bot”. Bobby Fischer, a guy I went to UW Business School with, just bought a condo and had his housewarming party last night. I think that he’s one of my first friend’s to make the big jump and actually purchase a place to live. Fischer’s condo is on the corner of Cherry & Boren in the Capitol Hill area of Seattle by the big hospitals in a one hundred year old building that is in very good condition. He got a good price on it for the current market conditions (I think the housing market will get worse though, so I’m waiting to make an investment like that). The condo is a little over 1,000 square feet with 2 bedrooms and 1 bathroom and 2 living rooms. It has a nice yellow paint job inside and looks like a cool place to live. I have been debating about whether to buy a house or condo, but I don’t think it makes sense for me at this point. Buying a condo is a big commitment of money and time and I think I would like to keep flexibility in both areas so that I can continue to focus solely on my businesses and career. I think that if I put my time into building my web properties and auto gauges business I will make far more money than if I sunk my resources into buying & fixing up a condo or house. The first playoff game of the Fall season of Underdog Sports Flag Football League is tonight and the Screamin’ Eagles (my team) is playing SACKreligious. We played this team earlier in the season and lost to them, but we played like trash that game. Hopefully tonight at 7pm we do better. I went online a while back and bought Easton football receiver gloves and played with them the last two games… I didn’t think they would make much difference, but I have been amazed at how good they are. Before I got the gloves, I would drop the ball sometimes since our QB has a Brett Favre arm. Now though I am catching everything thrown my way… one handed diving catches, deep Hail Maries and bullets in double coverage. Very fun. Sarah Palin attacked Barack Obama at the Republican National Convention, this is Barack Obama’s pretty interesting response.‚ Obama seems to be a much more mature leader than McCain or Palin.‚ What do you think? … Or maybe Photoshop lives.‚ Or is it a whale? JJJ@gmail.com, I think you should watch your language. I am such a turd. ESPN’s immensely popular show College Gameday showed and talked about a girl giving some, shall we say “love”, to the boy next to her. I thought they weren’t allowed to show this kind of thing? What do you guys think about Ron Paul and his views?